Special Note: Dr. James Kennedy has a new method for calculating equity extraction: "A Simple Method for Estimating Gross Equity Extracted from Housing Wealth". I still haven't evaluated his method yet (here is a companion spread sheet), so the following is using my old "simple" method. 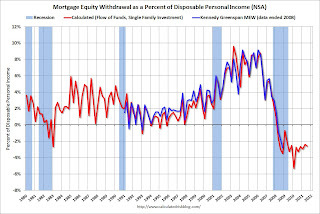 Note 2: This is not Mortgage Equity Withdrawal (MEW) data from the Fed. 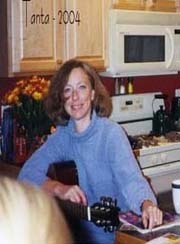 The last MEW data from Fed economist Dr. Kennedy was for Q4 2008. The following data is calculated from the Fed's Flow of Funds data and the BEA supplement data on single family structure investment. This is an aggregate number, and is a combination of homeowners extracting equity (hence the name "MEW", but there is little MEW right now! ), normal principal payments and debt cancellation. For Q3 2011, the Net Equity Extraction was minus $75 billion, or a negative 2.6% of Disposable Personal Income (DPI). This is not seasonally adjusted. The Fed's Flow of Funds report showed that the amount of mortgage debt outstanding declined sharply in Q3. Mortgage debt has declined by $730 billion over the last fourteen quarters. This decline is mostly because of debt cancellation per foreclosures and short sales, and some from modifications. There has also been some reduction in mortgage debt as homeowners paid down their mortgages so they could refinance. 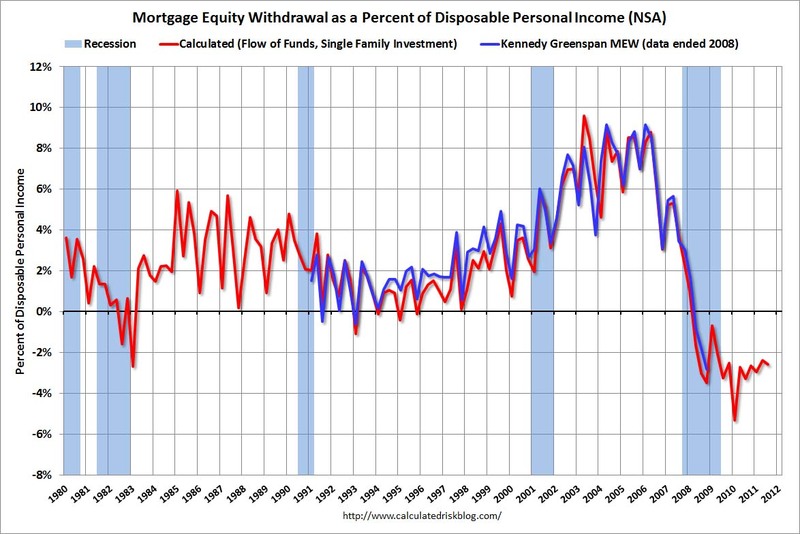 Note: most homeowners pay down their principal a little each month unless they have an IO or Neg AM loan, so with no new borrowing, equity extraction would always be slightly negative.